Starting a business can be a risky venture. However, any time is a good time to start a business with the right conviction and planning. If you are ready to be your own boss, think seriously about starting with a proven business model and a brand that is recognized throughout the United States. Think about owning a Miracle Method franchise! Our home improvement business is booming in this economy and a Miracle Method franchise can help you get up and running very quickly. 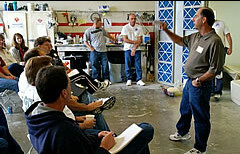 We offer our franchisees 15 days of technical, administrative and marketing training and support so that they can start their Miracle Method business with knowledge and experience. With Miracle Method you are in business for yourself, but not by yourself. Joining Miracle Method is like having a whole team of experts in the office next door. Join the proven leader in refinishing and be a part of a company you can be proud of! 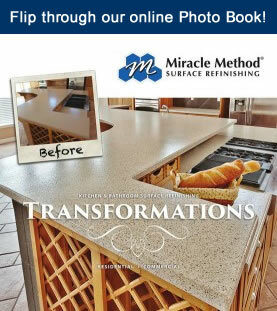 For more information please contact us at 800-444-8827 or visit us online at Miraclemethod.com/franchise.